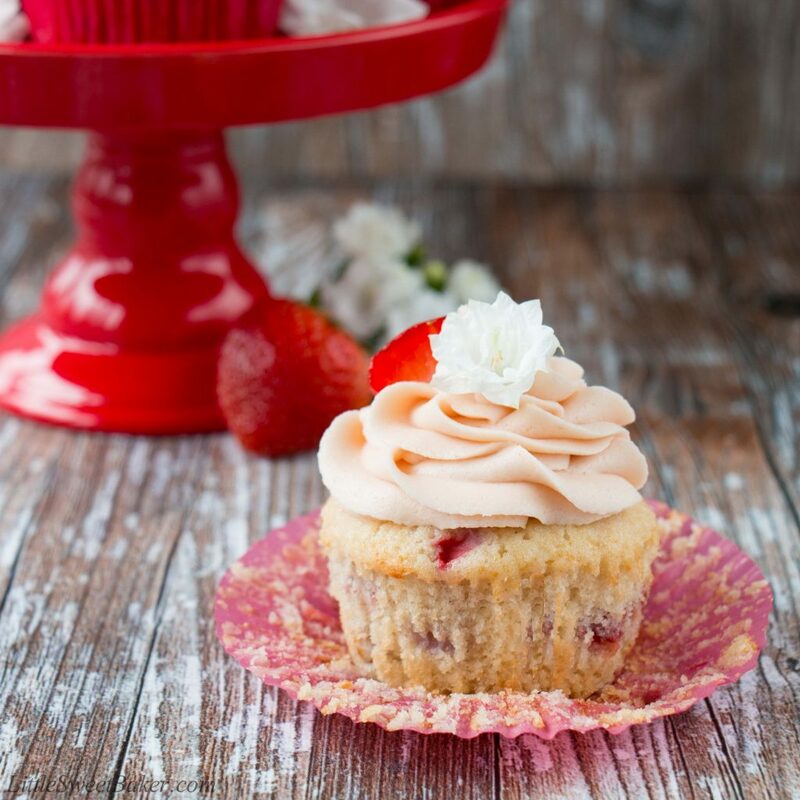 These fresh strawberry cupcakes are made from scratch with real strawberries and topped with a creamy strawberry buttercream. They are incredibly soft and fluffy, and full of fresh fruit flavor. I can’t believe it’s the middle of May already. Then it’s the final month before the kids are out of school. I get anxious thinking about all the things I want to get done before summer vacation starts. I’m also nervous about entertaining my kids for nine weeks. I don’t know about you, but I always struggle with keeping my kids busy, and keeping the fighting to a minimum. Maybe it’s because they’re boys, maybe it’s the age gap, but my boys are so competitive with one another. Especially the little one, and he’s only four! Though having special treats around like these pretty little cupcakes help. It gets the kids excited, and they like to assist me in the kitchen. I also sometimes use special treats as bribery to get them to finish their meal (don’t judge, it’s mommy survival). And most important, just looking at these cupcakes make mommy happy. For Mother’s Day my youngest wrote on his card to me that my favorite color is pink and my favorite food is strawberries. Well these cupcakes have both. Anyways, enough about me, let’s talk about this recipe. It’s easy and straightforward. It’s homemade from scratch with fresh fruit. 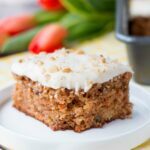 The frosting is made with pure strawberry jam instead of a reduction to keep things simple, yet still have that strawberry flavor with a natural pink hue. 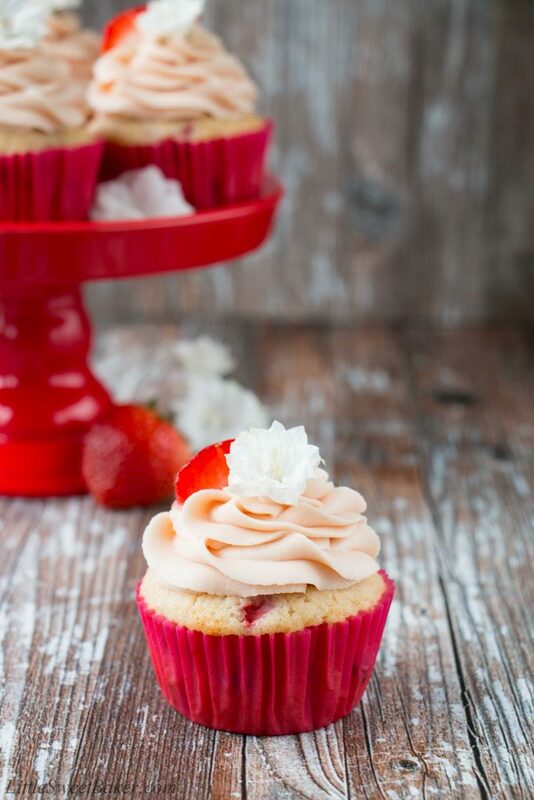 These strawberry cupcakes are super soft, fluffy and moist. The taste is buttery with bursts of strawberries and a soft scent of vanilla. 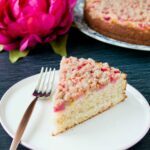 The frosting is creamy-smooth with more strawberry flavor and a lovely pink color. 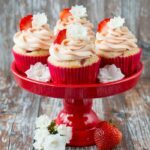 These fresh strawberry cupcakes are made from scratch with real strawberries and topped with a creamy strawberry buttercream. 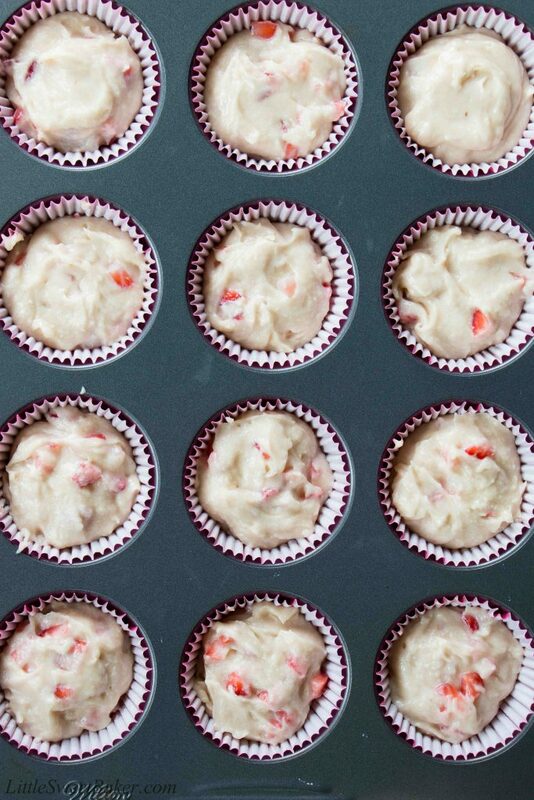 In a stand mixer with the paddle attachment, beat the butter and sugar until light and fluffy, about 2-3 minutes. Reduce the mixer to low and add the egg, egg whites, and vanilla extract. Stir in half of the flour mixture, mixing until just combined. Add the milk, mixing until just combined. Add the remaining flour and mix again until just combined. Gently fold in the chopped strawberries with a rubber spatula. Using a stand mixer with paddle attachment, beat the butter and jam until well combined and smooth. Mix in the powdered sugar, one cup at a time. Mix well after last cup. Frost as desired. 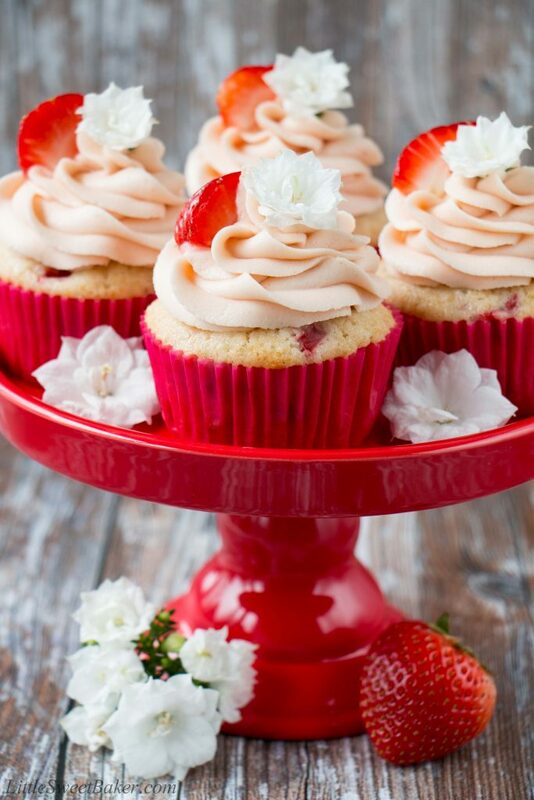 Leftover cupcakes can be stored in an airtight container in the fridge for up to 2-3 days.